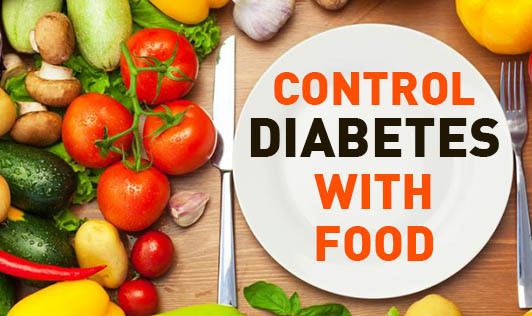 It’s easier to control diabetes via food habits than you previously thought. Follow these easy steps by including foods that control blood sugar spikes, and you could even get off the diabetes medication that causes serious side effects. Eat Brassica & Beans: The brassica family of vegetables, cabbage, cauliflower and the mother of all, broccoli, regulates blood sugar levels. Beans keep the spikes out and sustain the levels. But boosting nutrient intake is only half the story when it comes to tackling the epidemic of diabetes. Eat low GL, high fibre diet: Reducing intake of sugary foods and refined carbohydrates is also key. This is why those following a low GL can dramatically reduce their risk of diabetes – and why such a diet can even reverse Type 2 diabetes in those who have already developed it. It also aids successful weight loss, increases energy and improves health overall. And it has done all this for all the people I have treated with diabetes! Increase Vitamin C: Having a high level of vitamin C in your blood, consistent with that achieved by supplementation and eating a high fruit and vegetable diet, reduces your risk of diabetes by 62%. Include cinnamon: Much has been written about this spice, anyway. Cinnamon has been used for many years in traditional herbal medicine for treatment of type-2 diabetes. The active ingredient in cinnamon, MCHP, mimics the action of the hormone insulin, which removes excess sugar from the bloodstream.